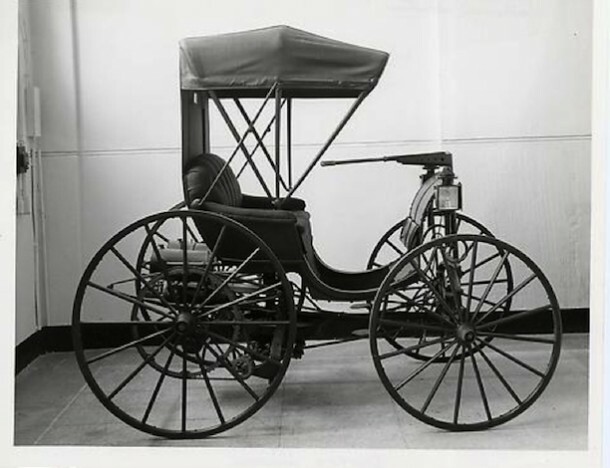 Madison, CT – Frank Duryea was a long-time Madison resident who helped develop one of the first American automobiles. In 1893, Frank, along with his brother, built one of the first cars in the country to have an internal combustion engine. The following year he drove the first car ever to make its way into Connecticut and then went on to race his design in the first recorded automobile race in America. 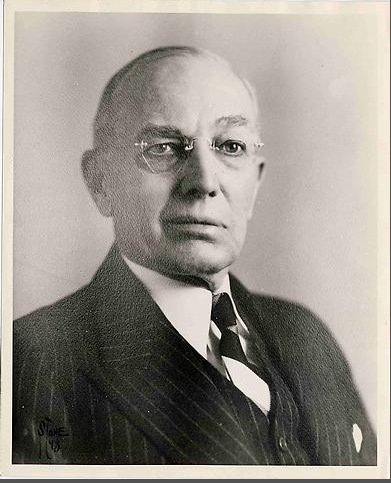 Frank Duryea was born October 8, 1869, in Washburn, Illinois. He attended high school in Wyoming, Illinois, and worked on his family’s farm before an interest in mechanics led him to a job as a toolmaker in Chicopee, Massachusetts. In 1886, Frank’s brother, Charles, witnessed the operation of a gasoline engine at the Ohio State Fair and began designing an engine of his own. Over the next 7 years Frank and Charles Duryea designed a prototype of an automobile which utilized that engine. While a disagreement over whose design ultimately prevailed tore the brothers apart, the “Buggyaut” (as the brothers named it) made its debut on the streets of Springfield, Massachusetts, on September 22, 1893. The vehicle traveled between 200 and 300 feet but came to a screeching halt with the failure of the belt transmission. After Frank made a slight adjustment to the design, he drove the vehicle nearly half a mile later that day. With Charles back in Illinois selling bicycles, Frank took to making improvements to their automobile design. He replaced the belt transmission with gears and friction clutches and utilized Charles’s single-cylinder engine design to power it. In 1894, Frank drove his design into Hartford, Connecticut, making it the first car to appear both in the city as well as in the state. The following year, Duryea appeared in and won several automobile races, including one from Chicago to Evanston, Illinois, recognized as the first automobile race in the US. In 1896, Frank constructed 13 identical cars from his design, making his Duryea Motor Wagon Company the first to make multiple copies of an automobile for sale. In 1904 the Duryea brothers opened the Stevens-Duryea Company, a car manufacturing enterprise in Springfield, and Frank served as the company’s vice president and chief engineer until he retired in 1915. After a move to Greenwich, Frank settled into life in Madison in 1938. He spent the better part of his retirement there gardening in the yard and occasionally traveling for pleasure or to events like the 50th anniversary celebration held in Chicago commemorating his remarkable win in America’s first automobile race. Frank Duryea died in Saybrook in 1967, at the age of 97. Among the lasting testaments to his achievements is the inclusion of the first Duryea automobile in the collections of the Smithsonian Institution in Washington, DC.